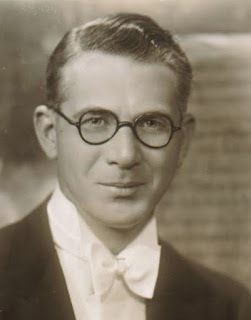 Henry Robert Hall, CBE (2 May 1898 – 28 October 1989) was an English bandleader who performed regularly on BBC Radio during the British dance band era of the 1920s and 1930s, through to the 1960s. 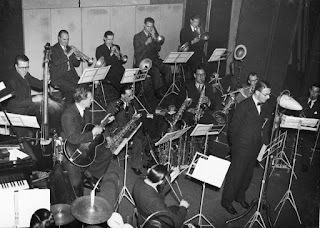 It was from Gleneagles that the BBC took him in 1932 to succeed Jack Payne as band leader of the BBC Dance Orchestra. At 5.15pm each weekday, Hall's radio programme from Broadcasting House gathered a huge following across the nation. In 1937 the BBC Dance Orchestra played at the opening of the Gaumont State Cinema in Kilburn. The same year Hall left the BBC to tour with his own band, which comprised many members of his BBC band. He toured the halls of Britain and Europe, and generated controversy by dropping songs by Jewish composers while playing in Berlin in February 1938. Hall's band was the first to appear on television.